Information overload threatens to weaken your annual review and lose your audience. What has really (really, really) stood out for your organisation this year? Do you really have to mention every corporate donor, cover every fundraising event or mention every project? Can you drill down to the 5 or 10 concrete, preferably measurable, achievements your organisation can boast this year? With a handful of great examples, you can use introductory and additional text to show these are just a thin sliver of your work. The challenge should be choosing the right highlights you need, to get the right messages to the audience you’re attempting to reach. 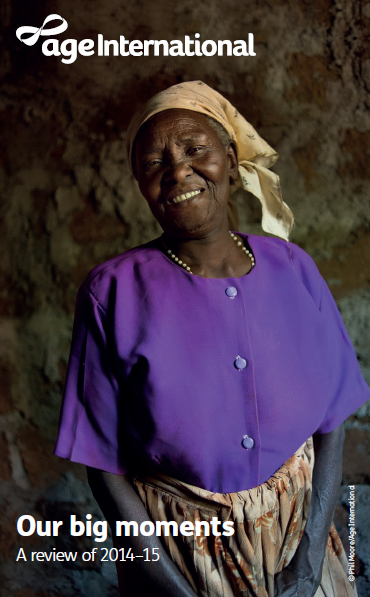 Age International – The charity’s annual review takes this as the heart of its approach. The top 10 moments that made the charity’s year are gathered together on an introductory page, and they work well to spark emotion (‘the moment we made a blind man see’), intrigue (‘the moment we turned clothing into healthcare’) and topicality (‘the moment we tackled Ebola’). One glance and you ‘get’ what Age International has been about this year. The rest of the report takes each of the 10 moments, and expands on them with some superb photography, tight copy and good statistics. Oxfam – The development organisation’s annual review is based around reporting against its strategic goals, but it has reserved space to point the reader directly to what it considers the year’s highlights. Each of those highlights covers a specific area of the organisation’s work and is a good ‘dip-in’ opportunity for the casual browser. The review also features box-outs with megaphone icons hollering key achievements for each strategic goal.